LOS ALAMITOS, CA and SEATTLE, WA--(Marketwired - Jun 24, 2015) - NovaWurks™ Inc. and Spaceflight Services, a wholly owned subsidiary of Spaceflight Industries, Inc. offering commercial rideshare launch services, today announced a signed launch contract for a NovaWurks Payload Test Bed (PTB) mission planned for the third quarter of 2017. PTB-2, the second of the company's Payload Test Bed missions, is scheduled to launch into a sun-synchronous orbit on Spaceflight's SHERPA in-space transportation platform aboard a U.S. commercial launch vehicle. Flown on NovaWurks' Hyper-Integrated Satlet (HISat™) enabled satellite bus, the PTB-2 mission will carry customer demonstration payloads, experiments or subsystems to enable organizations to test capabilities in space at a fraction of the cost of dedicated missions. The PTB-2 mission will provide hosting services such as power, attitude control and communications for up to 75 kg of customer payloads. "Our HISat technology is changing the way space is approached and is offering a different option for organizations to realize their potential in space," said Talbot Jaeger, founder and Chief Technologist at NovaWurks. "We invite organizations with payloads or experiments needing to go into space to be a part of this mission." NovaWurks provides space services for organizations to reach orbit using HISats, the company's flagship technology platform. Created on the basis of cellular morphology, HISat built satellites provide increased flexibility at drastically reduced costs. HISats can configure/aggregate to become a flexible and reliable spacecraft for a variety of mission purposes and provide a safe, rapid and cost-effective solution to reach space. 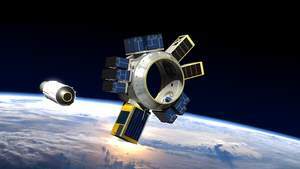 The company recently announced the first Payload Test Bed Mission (PTB-1) for fall of 2016. Spaceflight has launched 77 satellites to date, and has more than 115 spacecraft under contract for launches scheduled between now and 2017. "NovaWurks is an outstanding customer and we are thrilled to continue to grow with them in the small satellite industry," said Curt Blake, President of Spaceflight Services. "We are also launching NovaWurk's eXCITe spacecraft later this year, one of 89 spacecraft being deployed from our SHERPA platform, off of a Falcon 9 Launch Vehicle. We are excited to be enabling missions like NovaWurks' that is helping deliver hosted payload services for a growing sector of the space economy." Spaceflight is a next-generation, integrated space services and solutions company that is fundamentally changing how small satellites are built, launched and operated to improve access to space and enable persistent global awareness. Through its market-leading subsidiaries and service lines, including Spaceflight Systems, Spaceflight Services and Spaceflight Networks, the company provides cost-effective, comprehensive small-satellite products and services from development to launch, communications and operations. Headquartered in Seattle, Washington, Spaceflight provides its services worldwide through its global network of partners, ground stations and launch vehicle providers. For more information, please visit www.spaceflightindustries.com. NovaWurks™ Inc. and Spaceflight Services today announced a signed launch contract for a NovaWurks Payload Test Bed (PTB) mission planned for the third quarter of 2017.